Appl. Clay Sci., 112–113, 25–31, (2015). DOI: 10.1016/j.clay.2015.04.010. Nanocomposites of co-poly (vinyl chloride–polyvinyl acetate–polyvinyl alcohol) (PVC–PVAc–PVA) and kaolinite were prepared via solution intercalation technique. To improve compatibility among the phases and to expand the interlayer basal spacing, kaolinite was modified using dimethylsulfoxide (DMSO) as a swelling agent. 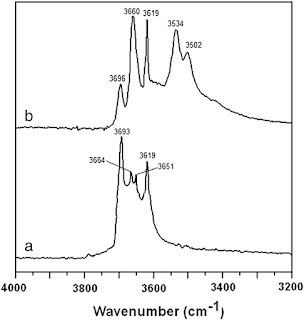 The influence of kaolinite dispersion and interaction between the disparate phases on the properties of nanocomposites were investigated using Fourier transform infrared spectrometer (FTIR), X-ray diffraction (XRD), scanning electron microscopy (SEM), transmission electron microscopy (TEM), mechanical testing, thermogravimetric analysis (TGA) and water absorption measurements. 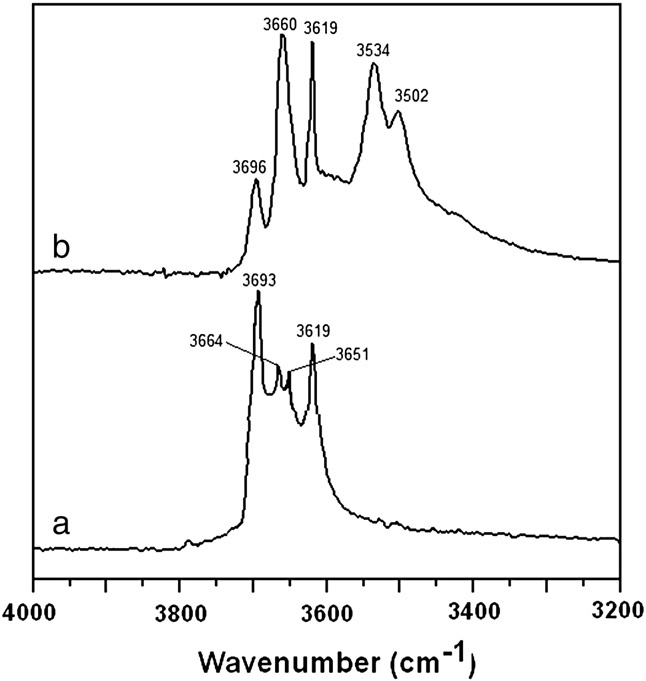 IR data confirmed the hydrogen bonds formed between DMSO and the surface hydroxyl groups of kaolinite. XRD and microscopic results revealed that clay mineral was intercalated with uniform dispersion at nanoscale in the matrix. Tensile testing of these materials indicated significant improvements in the mechanical properties relative to the pure copolymer. Incorporation of kaolinite into the organic phase enhanced the thermal stability of the nanocomposites. Water absorption of the nanomaterials was reduced upon the addition of modified kaolinite rendering decreased permeability with increasing dispersibility of clay mineral in the copolymer matrix.